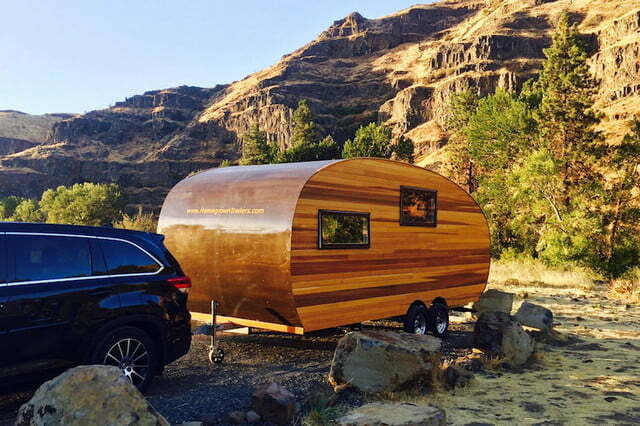 The new Timberline camper from Homegrown Trailers is proving that stylish good looks and comfortable amenities can indeed go hand in hand. Designed to be a versatile option not only for use at outdoor events and car camping sites, but in more remote locations as well, the Timberline comes with a host of options that deliver plenty of comfort and convenience in a package light enough to be towed even by medium-sized trucks and SUVs. When designing the Timberline the team at Homegrown Trailers managed to pack it full of great standard features. 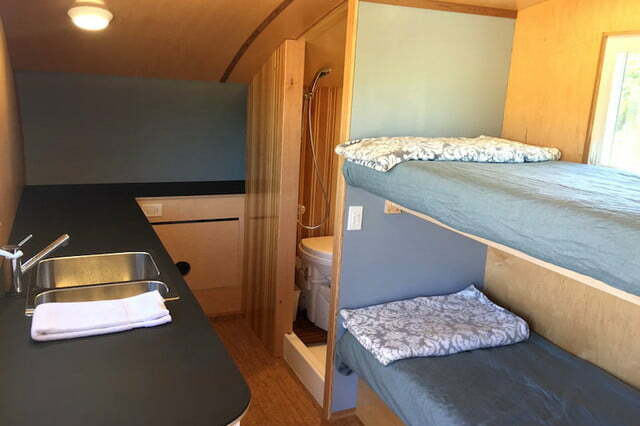 For instance, the camper comes equipped with an indoor shower and toilet, a 23.5-gallon tank that supplies fresh water, and a spacious kitchen equipped with a two-burner induction stove, plenty of counter space, a large sink, and a 3.1-cubic-foot refrigerator. 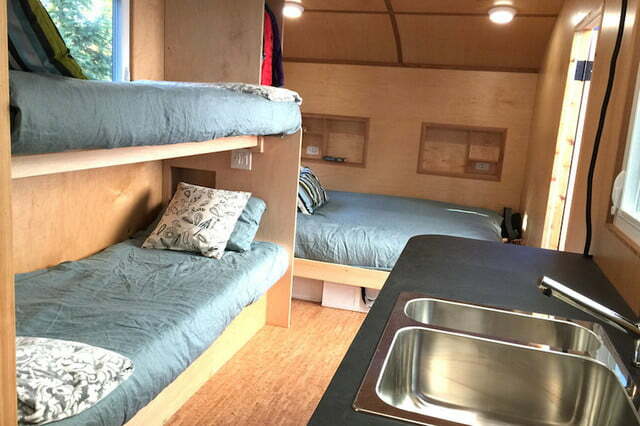 The trailer can comfortable sleep three to six people depending on its configuration, and it even features several large windows to provide interior light and airflow. 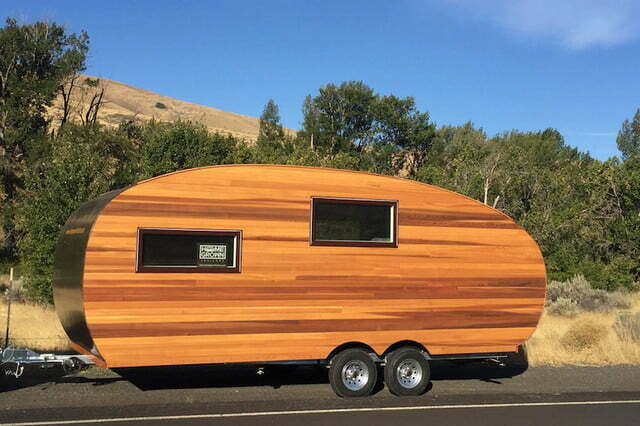 As with Homegrown’s previous camper model, the Woodland, the company’s latest trailer features safe, durable construction that incorporates sustainably sourced wood paneling into its design. This gives the Timberline a unique, natural look that will help it stand out at the campsite or blend in more naturally in a backcountry setting. 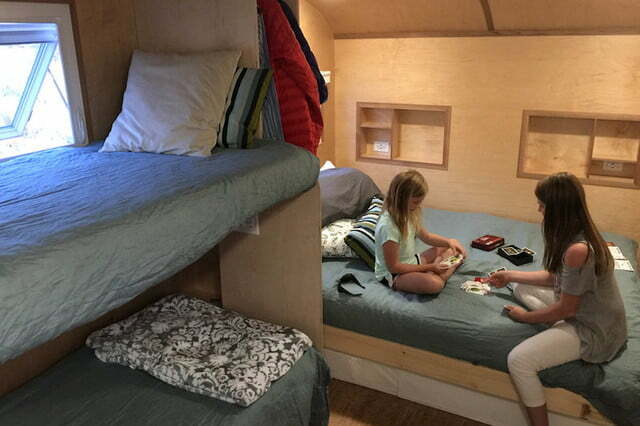 All of the components are made from healthy, nontoxic materials as well, and the entire camper is built using low-waste construction methods. 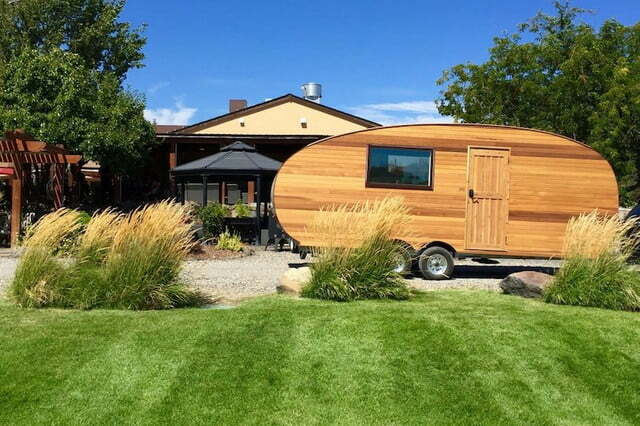 Measuring 23 feet in length and weighing in at just 3,950 pounds, the Timberline is smaller and lighter than most other trailers in its class. 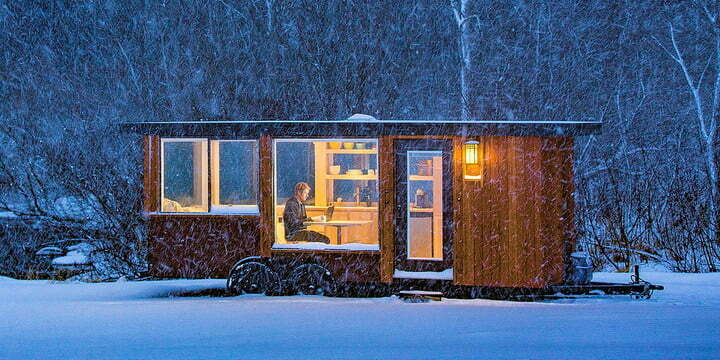 This makes it a much more accessible option for car campers, who won’t need a large truck or SUV to haul it around. 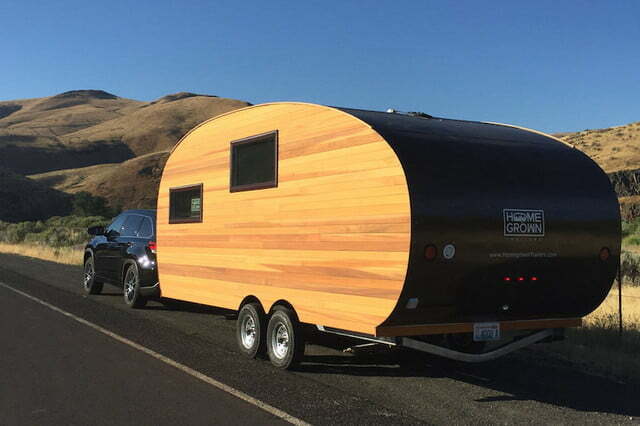 Homegrown recommends a vehicle that provides a towing capacity of 4,200-5,000 pounds depending on how full of food, supplies, gear, and water the trailer is at any given time. The Timberline will begin shipping later this year and will be available in two different packages. 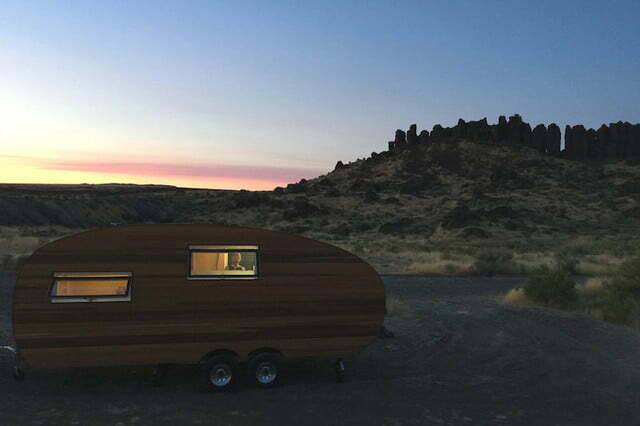 The On-Grid model operates like most other camping trailers on the market and will provide electricity through standard shore power options that allow it to be plugged into outlets at a campsite. On the other hand, the standard Off-Grid version is equipped with 600-800 watt solar panels and a 3.6- to 6.0-kilowatt-hour lithium battery that can power the Timberline using just energy from the sun. The two models sell for $37,000 and $41,500 respectively. 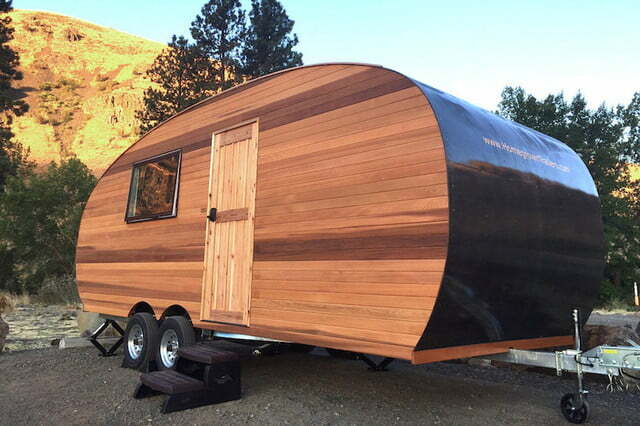 Orders for the new Timberline trailer are being accepted now with a fall 2017 delivery date. 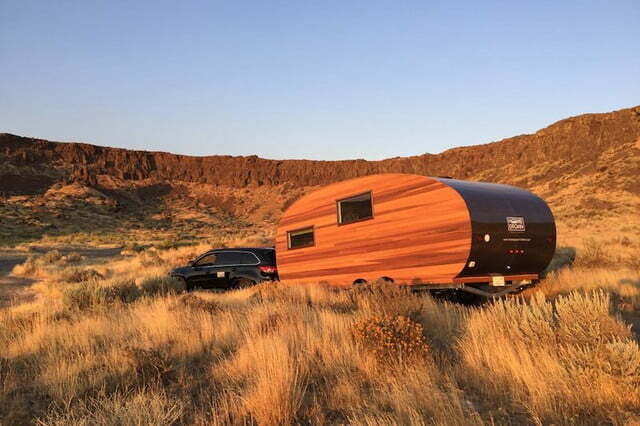 Potential buyers can customize their own version of the camper and reserve one with a $5,000 deposit.